Beautiful toddler girls Linen Dress by Rare Editions! This dress is perfect for Easter or any Special Occasion. 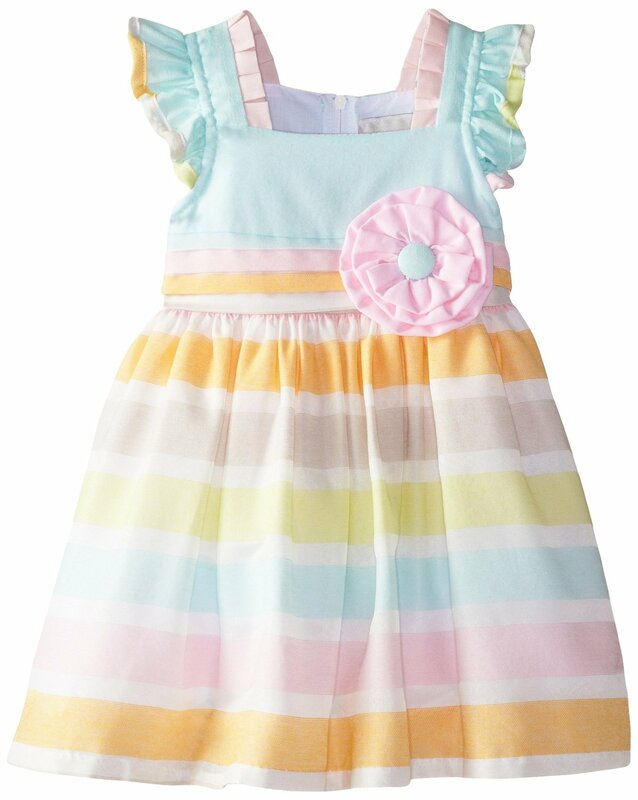 Dress features stripes and a flower applique at waist.